It is a Multi-Port Safe Parallel Module for safely interconnecting same-cell-count LiPo batteries in parallel; also supports RX/TX NiCds. This version supports LiPo batteries with JST XH compatible balance connectors and wiring. 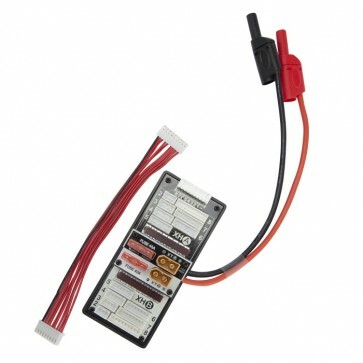 Interconnect cables available separately to support Cellpro PowerLab 6/PowerLab 8, Cellpro 10XP, and other charger brands compatible with JST XH balance connectors and wiring.